The operating costs of a ship are certainly influenced by fuel costs. 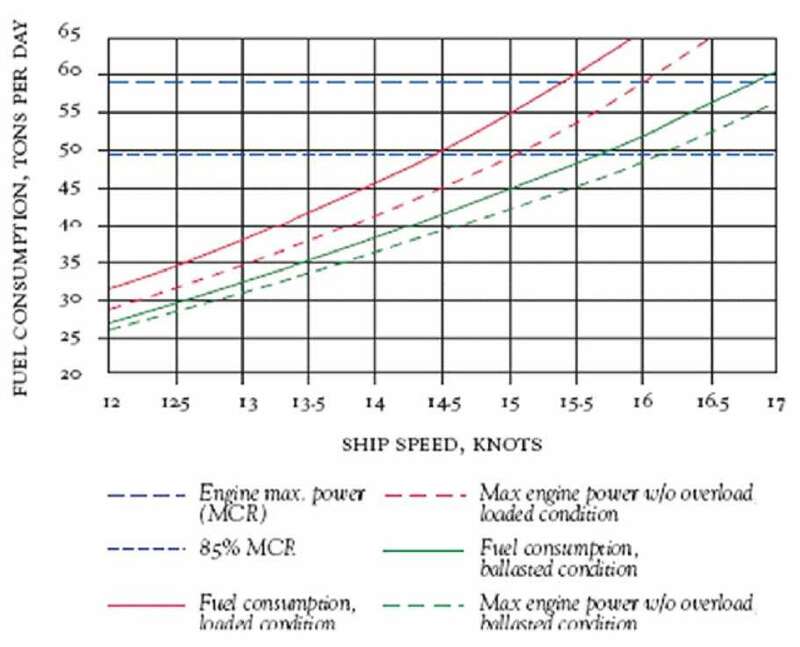 The efficiency of the propulsion depends on several factors. The submerged parts of the ship (hull, propellers, rudder etc.) are directly influenced by the presence of fouling organisms that attack the surface, causing resistance to motion. Therefore, in order to maintain a constant dynamic forward motion at the same speed as a clean hull, fuel consumption and wear of mechanical parts involved in propulsion will increase significantly. The Cavitcleaner products, aim to achieve maintenance and efficiency of transport by means of an innovative application of cavitation, keeping the submerged surfaces free from fouling organisms. Using this cleaning system frequently, Cavitcleaner will provide the key to maintaining low costs and the performance of the hull, as close as possible to those after having been launched with a fresh coat of anti-fouling. We continuously observe the technological development for the efficient and safe maritime transport of goods and passengers by investing in the design of increasingly efficient and environmentally friendly vehicles. The complex nature of the environment means this requires adequate and constant maintenance, and accordingly underwater inspections and maintenance help reduce costs and increase safety. The maritime transport sector is one of the “cleanest”, but the organisms that flourish in the submerged parts reduce performance, increase fuel consumption and in extreme cases increase corrosion, thus putting at risk not only performance, but above all, safety. IMO (International Maritime Organization), has already defined the amount of antifouling material to be removed during hull cleaning. Therefore, it is likely that international and local restrictions may be introduced to regulate underwater hull cleaning operations. The removal of the vegetative mass from submerged surfaces, with the use of brushes/abrasive discs, is prohibited in many European basins. Since the ‘60’s, technological development and awareness of eco-compatibility has led, to the use of more and an ever increasing range of anti-fouling paints. These are low in pollutants because they eliminate those metals in their composition, such as arsenic and mercury, so effective in the maintenance of a hull, but very toxic to the marine environment. The study of biological fouling organisms (algae, crustaceans, molluscs, etc..), has demonstrated that the quantity of organisms which grows to an unprotected hull, borders 150 kg per square meter, in about 6 months of exposure. The figures then soar exponentially when applied to surfaces of vessels of large tonnage. (Surrounded area : 40.000 square meters or 6000 tons of vegetation). Another aspect related to the presence of organisms, on the parts concerning propulsion and steering stability, regards the increase of up to 40% of resistance to motion, reducing speed and increasing the consumption of fuel from as much as 10% to 20%. This means higher management costs for the transport industry. 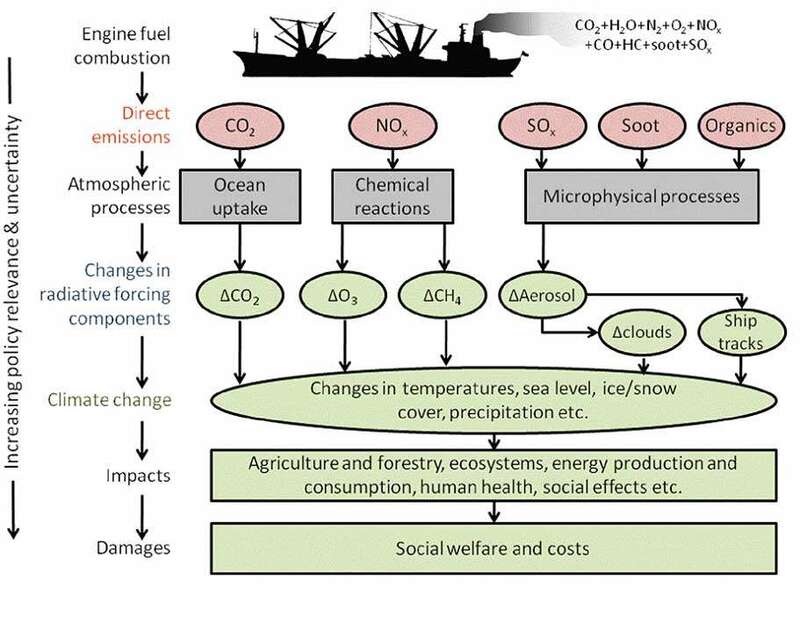 Extra consumption directly affects the amount of gas released into the atmosphere, gases precisely considered greenhouse such as CO2, NOX, SOX, which appear to be measurably higher. All this is to be considered if you are referring to the agreements made by the EU Treaty of Kyoto with the prospects of reducing emissions by 2012. And ‘therefore it is indisputable that, for maximum performance, a hull should be conventionally or technologically (electrified systems) protected and free from scale. Traditional cleaning systems used underwater make use of abrasive pneumatically or hydraulically served brushes, which give effective and inexpensive results. Additionally, the abrasive effect of the brushes used, removes significant layers of ant-fouling paint, with the same dispersion in the environment, and makes the surface more vulnerable to the establishment of organisms. The same problem has arisen when using jets of water at high pressure (+250 ATM). This is why the Cavitcleaner cavitation technology is a concrete response both to environmental protection and to resolution of problems for ship-owners. Studies on cavitation fluid have led to the development of new technologies, not only in the military, but especially in the use of cleaners and micro surgery. In this case, it refers to the cavitation generated by ultrasonic frequencies applied in dentistry and the aesthetic and ophthalmic areas. This physical phenomenon used in MACRO cleaning, has made possible the construction of a new tool for descaling in the underwater environment, whether inshore or offshore. In summary, we have adopted the cavitation system, generated the formation of microbubbles in the flow of sea water (no chemical additives). These are not generated by a rise in temperature, but by a DELTA P (pressure difference) which is the difference between flow pressure and steam pressure. The result is that the micro-bubbles detach the different types of organisms with the implosive force only and not because of the impact pressure, like traditional hydro jets do. This means removing organic material without removing expensive and chemical laden anti-fouling paint, with an effective cleaning result, in total respect of the environment. One aspect, not least in importance, refers to the operational safety. When working with low pressures the risk of accidents for the diver is virtually zero, unlike traditional hydro jet methods that use extremely high pressure. The current system of hull cleaning, considering the low availability and high cost of dry docks, limits the opportunity for operators to do adequate maintenance on their boats/ships. What Cavitcleaner products offer is not an alternative to traditional docking (which must be done anyway), but it can extend significantly the period of time at sea between lifting / drydocking, and is a complementary method in accordance with current regulations concerning the environment and safety. This maintenance is carried out in that period of transition between one dock and another to ensure that the efficiency of “our” ships meets the expectations of the parameters set by the qualified authorities. Cavitcleaner Ltd. are proud to have perfected this technology as the benefits to the World’s climate are significant. Furthermore, ship owners and operators of man-made structures in a marine environment can benefit from significantly lower operational costs, and costly downtime of operations. Contact us at and provide an overview of your present operations, and we will recommend the suitable products that will be suited to your needs.